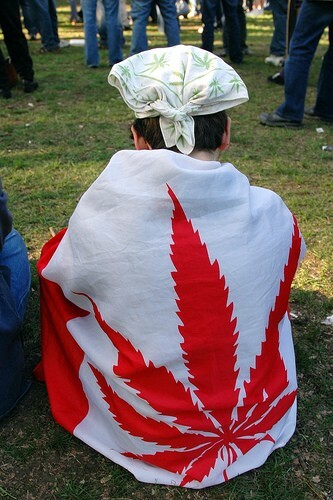 Almost twice as many Canadians smoked marijuana in 2005 than did in 1977, and the average age of a marijuana user increased from 26 to 31 over that same period. Canadians are smoking less, and drinking and driving dropped to a record low in 2005, but scientists at the Montreal based Centre for Addiction and Mental Health say that substance abuse trends are not uniformly rosy. Binge drinking amongst younger people remains problematic, and the percentage of the population who drank more than the recommended "low risk" amount increased from 21% in 2003 to 25% in 2005. But the most substantial increases have occurred in the percentage consumption of marijuana. In 1977 just 8% of the population reported having used marijuana at least once in the preceding year – in 2005, the percentage had almost doubled, to 14%. In 1977 the average age of a marijuana smoker was 26, in 2005 it was 31. Marijuana smokers are getting older and they aren’t growing out of the habit the way they once did. Study leader Jurgen Rehm, explains, "For a long time, marijuana smoking was confined to a transitional phenomenon, but it now finds its way into an adult lifestyle." The heaviest using Canadians are from BC, where 16.8% lit up in 2005 and at the other end of the spectrum, and the country, are those from P.E.I, where only 10% smoked during that same period. 1 Police Called During Home Invasion - On Arrival They Find Major Marijuana Growing Operation!